Today we are going to do something risky, we’re going to share with you seven steps to choosing the best agency for your business. Before the calls of “shameless self-promotion” ring out, know that we will instead be taking an unbiased approach (as much as possible) in order to highlight what to look for when it comes to finding the perfect agency to work with. We are fortunate to work with some fantastic agencies up and down the country, as well as having some great contacts and customers in far-reaching places, so our advice today is based on all these many years of experience. Before you start talking to agencies it’s important to have a clear idea of what you need from them. Searching for agency help is similar to looking for a new smartphone. If you don’t have a clear idea of what you want, or how much you’re prepared to pay, when you go into the shop, then you may end up spending much more than you expected on a phone with lots of additional features – that you probably won’t use. Or an iPhone (#teamandroid). Sometimes it’s nice to get some direction from agencies (after all, they know what they are talking about). However, having a definite goal in mind can not only ensure that you find the best option for you but will help prospective agencies focus on services which will be the most valuable to your goals. A good agency worth their salt will also help you decide which KPIs are important to measure to help achieve your goals. Similarly to point number one, make sure you have a budget in mind before you start agency hunting. If you don’t really know what to expect, then look at a couple of different agencies and ask for quotes before you make up your mind. At the end of the day, even the most honest and reputable agency may try to provide you with extra services if they think they can help you reach your goals, so making sure you pay sensibly for what you want, and what you can afford, is crucial. When it comes to agencies, not all are created equal. That was not a thinly veiled dismissal of other agencies – rather recognition that many have specialisms that you should consider. Some will be very focused on social media, others will be PPC or SEO focused. Some will work offline and online, others, like SGM, will focus purely on online. Other considerations may be less obvious initially, such as whether they have international experience, or if they work primarily with large or small businesses, but asking questions and looking at their other clients will point you in the right direction. For the real scoop on what an agency is like, it pays to start with the people. Looking at previous customers, clients, and even their staff members can give you a really insightful perspective on the day to day running of the agency. Most agencies show off other businesses they have worked with on their websites, so if you are deliberating between a few agencies, why not call up a few of their previous clients to get the low down, or check out some case studies. We don’t need to explain the beauty of the World Wide Web. After all, the reason you came to be on this blog in the first place is down to the fact that you are a savvy internet user (with excellent taste), but when it comes to looking for agency reviews there is no easier place to look than online. Websites like RAR feature reviews and testimonials from agencies around the world and allow for you to see the opinions of real clients, which, when looking for an agency, can be invaluable. There is no point beating around the bush – digital marketing can be complicated. The online world is changing so often and so drastically that it can be hard for even people in the industry to stay informed and up to date. Despite this, it really does help to know a little bit about digital marketing before looking for an agency. 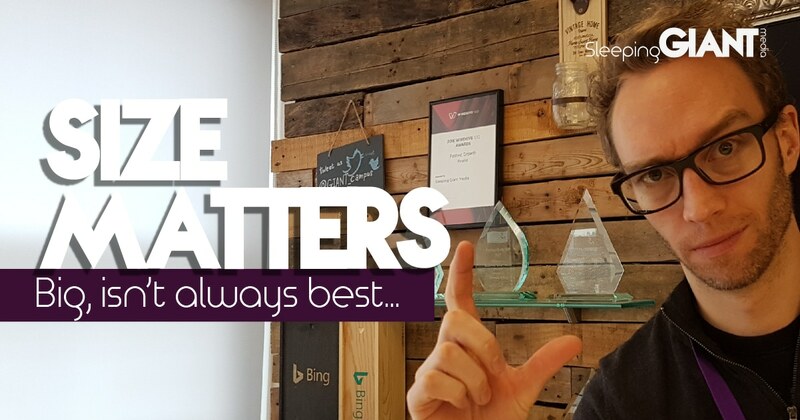 There are still a large number of businesses who struggle to see value in digital marketing, and the major downside of this is it either leaves you with misjudged estimations of working with an agency or means that you could be left with a poor deal. A good agency won’t seek to confuse and complicate factors by using needlessly complicated language, but will instead aim to demonstrate the value of their service in reaching your goals. What was that noise? Oh, just me shooting myself in the foot. Sleeping Giant Media have a ball pit. Google has scooters and tons of cool breakout areas. Other agencies have pool tables, bean bags, hammocks, table football – you get the picture. While all of these things seem geared towards showing how much the company value their employees and creating a great environment, they also show off the business as progressive and eye-catching. In short, it becomes part of the marketing itself. When shopping for agencies, it is important to look beyond these traits. Don’t forget that for the most part, the marketing you are seeing is designed by marketers. Look instead at the awards, testimonials, previous clients and results that the agency has had. All of these factors will mean much more to you in the long term than whether they have a ball pit or a slide. When looking for agencies, there is a wealth of choice and opportunity out there. There are a lot of amazing people and businesses working in the UK, and hopefully, by following some of the advice above, you can find the right one for you. Now, who’s up for a game of Fussball? Whilst we’ve got your attention, why not sign up for our next Giant Talks? That’s right… they’re back! Click the picture below to find out more. Like what you read? Check out Lukes blog about business size and what it really means to our clients.